With 2020 right around the corner, we decided to put together a list of trends that will affect work in the future. These trends will become standard buzzwords in every HR department – so best to learn them now! Here are 20 trends in Human Resources business professionals will be talking about in 2020. In a rapidly evolving global economy business leaders need to be mindful of these trends. Permanent Flexibility. The term, coined by Mercer in their 2018 Global Talent Trends Survey refers to flexible work arrangements that are in flow with a modern digital lifestyle. Flexibility involves rethinking how work is done and by whom. Gig Economy. 1099 to replace 9-to-5. The gig economy will see a large majority of the workforce shift away from full-time jobs into free agent employees. Intuit estimates that by 2020, 40% of American workers will be independent contractors. Remote work will be even more remote. SHRM finds that globalization will lead to an increasingly diverse workforce, contracted on a per-project basis, oftentimes at a lower cost. You may soon be working with team mates nine or 10 time zones away. English continues to be dominant in international business. When companies merge and acquire each other at a global level, English remains the de-facto tongue. In fact, it is spoken by one in four people in the world. 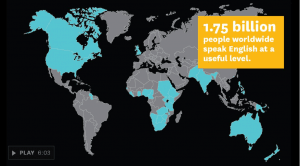 English is natively spoken in over 60 nations. Interestingly, when Nestle, the Swiss chocolate company enforced English as a company standard, it saw greater efficiency improvements in purchasing and hiring. HR Chatbots. Chatbots are already being used in customer service, IT technical support, and resume parsing. By 2020 we will see a greater reliance on chatbots, especially as a way to aid employees with the onboarding process. The challenge? Putting together a Frequently Asked Questions list into a chatbot program. The benefit? 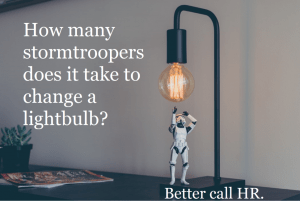 In the long run, having a robot field commonly asked HR questions (i.e. benefits, compensation, retirement) can free up HR’s time elsewhere. Gamification. Gamification has been working its way into all types of industries. We anticipate it being used as a way to screen candidates, turning tests into a fun way to measure personality and skill. Similarly, the data gamification promises can help HR departments build job families, which helps in reskilling of jobs. Gaps in this knowledge present significant obstacles if workgroups are not up to speed in their digital prowess. For instance, Gartner research shows that 67% of business leaders believe their company will no longer be competitive if it does not become significantly digitized by 2020. Project managers should work with HR departments to appraise job functions, conduct a job analysis, divide jobs into micro-containers, and then redistribute these functions to gig workers (or train existing workers in new workflows). Worried? That’s your common sense kicking in. Check in with team mates when a candidate seems too good to be true. The best HR leaders leverage data, yes, but they still check in with their gut. 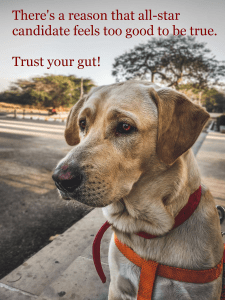 When your instinctual guttural reaction defies the data we recommend looping in another decision maker or adding another step in the selection process. Realize that data, at the end of the day is imperfect – play it safe! Automation and A.I. Much of the hiring process has become automated, and accordingly, devoid of scrutiny. Search engines, applicant tracking systems, and email automation have in some ways commoditized the job search to a simple keyword match. Candidates that know how to game the system have an advantage over individuals who are honest, but don’t know the tips and tricks Applicant Tracking Systems use to screen incoming candidates. Your best bet when trying to hire a rockstar/unicorn? Look in your network and not on job boards says the Undercover Recruiter. 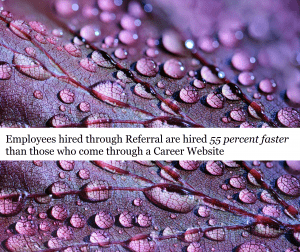 Employees hired through referral are hired 55 percent faster than those who come through a career site. They also stay longer and have greater job satisfaction! Continuous Performance Management. Performance Reviews used to be a once-a-year occurrence which determined an employee’s annual raise. This dreadful experience was carried out seriously and with highest formality. 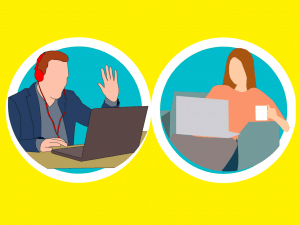 As jobs continue to become more autonomous and decisions get made from the bottom up, companies are realizing that 1-on-1 meetings between manager and employee help move projects along faster. Management shouldn’t be a bottleneck but an enabler. As such, most managers conduct weekly or bi-weekly one-on-one meetings in order to prevent bottlenecks from happening. SHRM, 2018 celebrates this shift away from the once-a-year performance management process. Incentivized Healthcare. “Corporate wellness programs aren’t just being used at shiny big companies like Apple. Organizations are seeing the value in leveraging healthcare to both lure talent and streamline a costly expense.” -Evan Tunis of E&M Global Insurance. Organizations that encourage their workforce to be healthy showed lower rates of absenteeism and turnover, and showed higher rates of engagement and productivity. Greater Disposable Income. Low cost technology and easier barriers to entry for lifestyle brands on social media will make it cheaper to create customized niche products. Over the next decade, a growing middle class will greatly increase the number of consumers purchasing unique products. 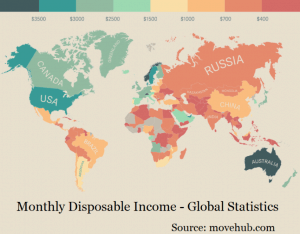 Already the United States has an average personal disposable income of $3,258 per month. Universal Basic Income. Universal basic income would provide all citizens of a country with a given sum of money. Small pilots and experiments have been tested in Ontario, the Netherlands, Finland, and Italy, with varying degrees of success. Critics argue that it would be too expensive to implement and would create a disincentive to work. Proponents, however, believe that it could be cheaper in the long run, and would counteract the effects of poverty, promoting creativity, entrepreneurship, and global trade. We believe that the will of the public will determine whether universal basic income remains a utopian dream, or a feasible undertaking. If enough people wish to eradicate poverty, we will. Slack & WhatsApp overtake Outlook. Teams will naturally gravitate to the most easy to use communication tool on the market, even if that tool is not an approved communications channel. E-mail chains on Outlook and G-mail have become inefficient and impossible to sift through, with many workers preferring the group based messaging available through apps like Slack, WhatsApp, and Facebook Messenger. HR can choose to go with the flow, and tap on to the channels used, or try going against the grain to promote standardized channels. On the Job Training becomes standard. New employees used to take the first day (sometimes even the first week!) learning about the company before they could actually perform the job. Employees in 2020, regardless of their job function, will be expected to get hands on as soon as possible, putting additional pressure on HR to get new hires onboarded as fast as possible. Possible avenues for on the job training include gamification, Virtual Reality, and Augmented Reality. Shrinking HR Teams & Outsourced HR. HR Trend Institute 2017 predicts that the number of jobs in HR will decrease as the level of automation increases. For example, the work that talent sourcers used to do is now being performed by search engines and applicant tracking systems – the role has been automated to a simple software purchase. Similarly, the need for customized, flexible, by-the-hour, outsourced HR solutions has risen sharply. HR becomes involved in strategy. A 2017 Forbes article headline read: Why Every CEO Should Give HR A Seat At The Table. They described the shift happening in Human Resource departments worldwide. 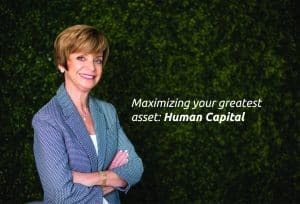 With a transient workforce, a lack of clearly defined structure, and a bottom-up approach to project management, CEOs and CFOs alike need to leverage the expertise of their HR department when making projections, opening up new revenue streams, or deciding to shrink and expand operations. Smartphones & Tablets > Laptops & Desktops. Intuit predicts that “smartphones, tablets, and other mobile computing devices will become the go-to computing devices for most of the world.” We think they’re over-emphasizing a developing trend here, but regardless, the rise in smartphone and tablet use present a growing worry for HR and IT administrators working in sectors like finance and healthcare where compliance and privacy are paramount. Individuals become brands. Brands leverage individuals. Anyone can create a brand on social media and gain renown, practically overnight. As the lines blur between the real world and the digital world, brands and individuals will morph together into a term known as “brandividuals.” Candidates with strong social media followings will have greater leverage in the job interview, since they can take their network anywhere. Internet celebrities (brands in themselves), will partner with companies that have a similar audience overlap with their target market. Similarly, companies will leverage the social networks of individuals in order to gain relevance in the younger market. Takeaway: When follower counts become the scorecard of success, how will HR make fair hiring decisions? Personal Accountability. Got a problem? Google it, don’t bother me with it. When facing a problem, how often have we heard the term: “Just Google it.” The phrase “Just Google it” is an easily quipped invitation to figure it out for yourself. Whether it be the simple setup of an e-mail account or the creation and management of a job posting online, employees will be expected to know how to navigate the digital environment. [Blue-collar workers included]. Managers simply won’t have the time to micromanage every detail of their workers’ jobs. For the sake of saving onboarding time, HR Technologist even anticipates that employees will be expected to BYOD, or “Bring Your (Their) Own Device” into work. Managers will expect new hires to show personal initiative and demonstrate the formulation of intelligent questions that drive projects forward, not waste the intellectual capital of their brightest players for the sake of keeping the laggards up to speed. Ironic that in an age where we are more interconnected than ever, each individual will be expected to run asynchronously and autonomously. Without question, the biggest trend we anticipate happening in 2020 is the acceptance of personal accountability as the office norm. 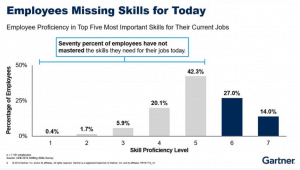 Employees that will thrive in the economy of 2020 will exhibit a do-it-yourself attitude. As we rethink how work is being done, traditional 9-to-5 work will be replaced by an on-demand marketplace of contract-based specialists. HR leaders will be more taxed than ever as they attempt to hire the project managers that will bring these projects together. Slowly but without fail, the digital world will overlap more with the real world. Workers will be expected to know how to research their own information, and stretch their skillset as the need arises, or risk being displaced. Luckily, a renewed emphasis on cultivating an organization’s talent will mean talented Human Resources professionals skilled in identifying talent will be highly sought after. We anticipate that the best HR leaders will be welcomed at the strategic boardroom meetings – even though each member in attendance may be a talking head on a virtual monitor. Tammy Klein has joined the video call.